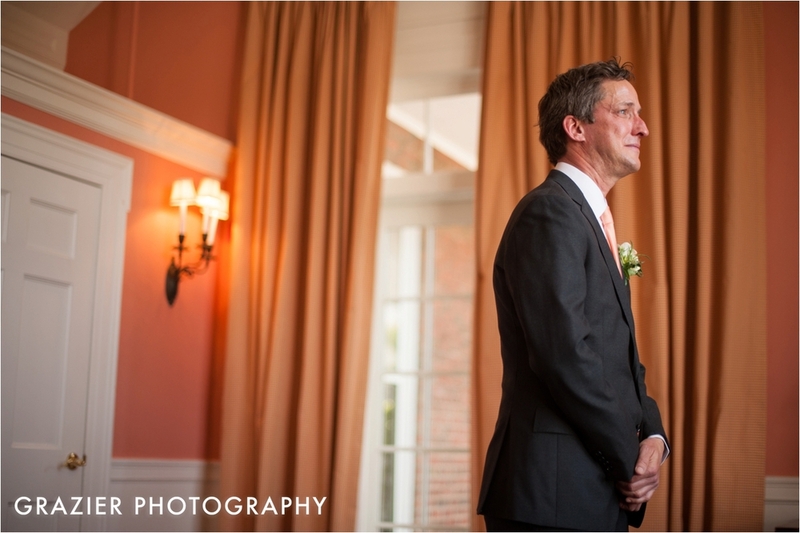 Many of our clients ask us about the pros and cons of doing a “first look” prior to their wedding ceremony. 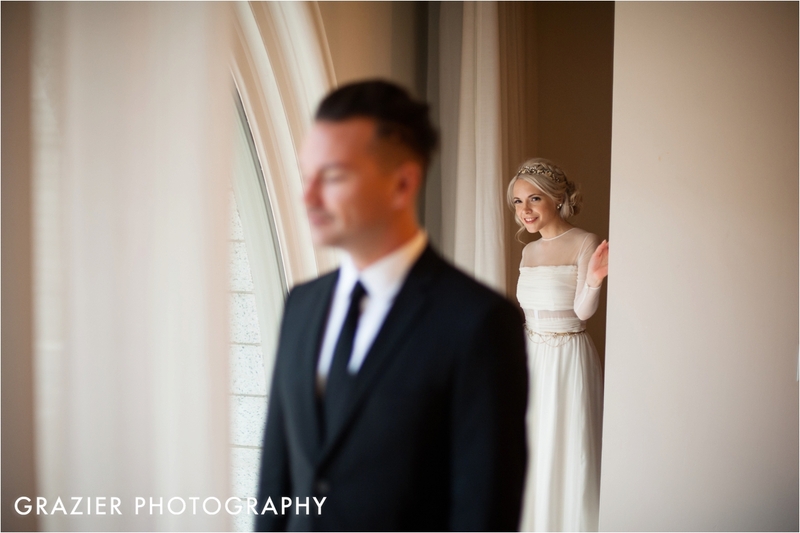 We love a first look for many reasons, but the main motivation for us is to capture a quiet moment with the wedding couple before the craziness of the wedding ensues. All of the different people and personalities on the wedding day can be overwhelming. Creating this time just for the two of you is really helpful for pacing the day. Enna calls it our "superpower" because it feels that we are able to stop time and allow the couple to truly savor the moment. They can slow down and just be together before they are swept away with all the festivities. The one thing we learned at our own wedding is that the day is over in a flash! The number one reason couples tell us that they want a first look is because they want to enjoy their cocktail hour. Rather than making guests wait around for them, they want to be able to spend that time with their family and friends. Others desire more creative portraits or have their hearts set on a unique location for their portraits. Having a first look allows you to build that extra time into your day. Some people are against having a first look. It’s sometimes the parents but it’s most often the groom. The reason for this is usually is that the groom sees the entrance of the bride at the ceremony as his "big moment" of the day. But he might not realize is that he is sharing this moment with everyone- all 150 or so guests. Every groom that we have photographed who did a first look has been so happy they did. They told us how special it was because he could take the time to look at his bride; to hug her, to cherish that first moment, and to be emotional while not in front of anyone else. Many grooms have told us it was their favorite part of the day. As you can see, we like to make the first look special. No parents, siblings or friends come with us for this special moment. We find a nearby location that has beautiful light that will be relatively secluded for privacy. These moments offer an amazing visual narrative of the couple meeting for the first time in their wedding attire. There are often gasps, hugs, and tears. They make each other spin around, show off their shoes, socks and other important personal touches. They tell each other how amazing they look, and how much they love each other. We always stay kind of far away (using a longer lens for close-up photos), and let the couple finish their "look" when they decide they are finished. When they are ready, we move into portraits. The big advantage of portraits at this time is that the couple is alone with us and are more able to relax. The couple is fresh and their smiles are not tired from the ceremony or having just wrapped up family and wedding party portraits. We spend about 20 minutes taking gorgeous portraits of our couple, then usually the wedding party arrives for their group photos, followed by the parents and grandparents. This order and timing is super important, since people arrive in the order they are needed. Mom and dad are not expected to be dressed too far in advance of the ceremony and Grandma doesn’t have to rush. We like to wrap up portraits about 30 minutes before the ceremony so everyone can freshen up before the guests arrive and the ushers can be ready. After the ceremony, we usually spend a few minutes with our couple for a few more portraits as there is always a special "just married" glow on their faces, then they are off to enjoy cocktail hour. Our couples that choose to do a first look are very happy with the results, but we do want to stress that there is nothing wrong with a traditional timeline. Your wedding day is about you, so make the decision that is right for you and your day. Whether you see each other in an intimate first look, or a tearful moment as your eyes meet as the bride walks down the aisle, we will capture the moments as they happen, and document your special day.